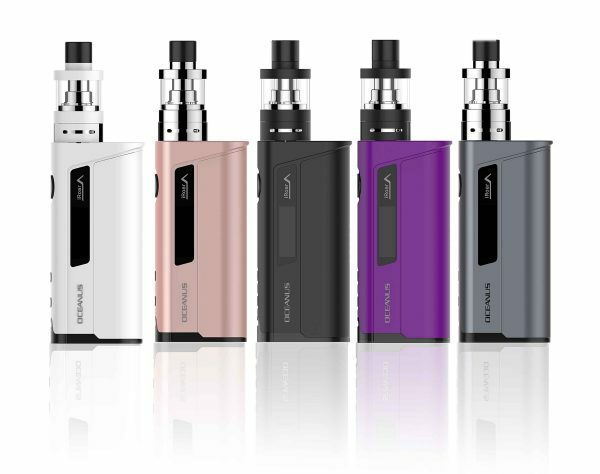 The Innokin Oceanus iSub VE Vape Kit consists of the Oceanus Box Mod and the iSub VE Sub-Ohm Tank. The mod itself has a maximum power output of 110W and has a vast range of wattage settings. The iSub VE is a 2ml TPD compliant tank and has an adjustable airflow. The kit is powered by a single 20700 battery (two of which are provided).